[NEW RELEASE] Two more Kaiju Kaos releases!! 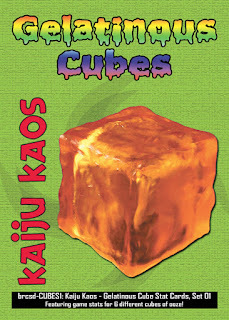 To kick off the new quarter we've got another two new releases for Kaiju Kaos: The Miniatures Game. Poison-Immune – Special Ability Requires BRCSD901: Kaiju Kaos - The Miniatures Game (2011 Bailey Records). In its original form during the Medieval period of European warfare, an Order of Battle was the order in which troops were positioned relative to the position of the army commander. In modern use, the Order of Battle (OOB, O/B, OB, or ORBAT) of an armed force participating in a military operation or campaign shows the hierarchical organization, command structure, strength, disposition of personnel, and equipment of units and formations of the armed force. As combat operations develop during a campaign, orders of battle may be revised and altered in response to the military needs and challenges. Also the known details of an order of battle may change during the course of executing the commanders' after action reports and/or other accounting methods (e.g. dispatches) as combat assessment is conducted. 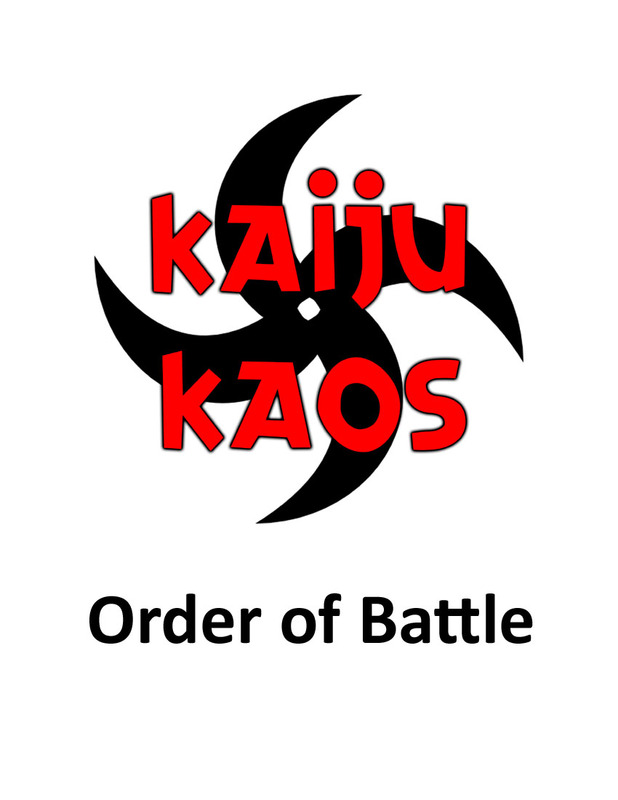 In Kaiju Kaos, an Order of Battle is a checklist of all available personnel ready to battle on behalf of their Faction or cause. A Faction is a group of close-knit characters that fight for the same cause whether an ideology, a paycheck, or somewhere in-between. There are eight primary Factions in Kaiju Kaos. In addition to Factions, there are Mercenaries. Mercenaries come in all shapes and sizes. Mercenaries in Kaiju Kaos are often lumped into subgroups such as Creatures of Kaos Island, Cryptids, Dragons, the Forces of Decay, or acolytes of the Planet Devourer. Whether a Mercenary is an individual or from a subgroup, the model can be added to any army if the Build Points and Alignment permit. Each Faction, including Mercenaries, will be detailed in the following pages. Factions will be arranged alphabetically as will the members of each Faction. Each character covered in this Order of Battle has an official Stat Card available through DriveThruCards.com and WargameVault.com. Click-thru Hyperlinks have been provided. 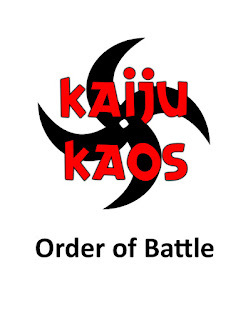 It is my intent to update Kaiju Kaos: Order of Battle four times a year, at the beginning of every quarter, as needed. This information is being provided free of charge and is also available on our website under Kaiju Kaos Game Stats. [NEW RELEASE] Two new Kaiju Kaos releases!! 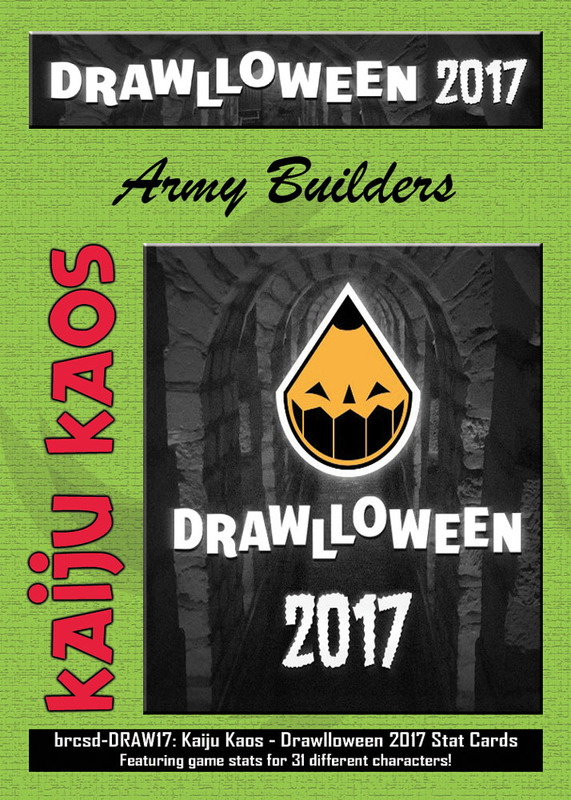 6 months in the making, from concept to playtest to layout to release, Drawlloween 2017 is our biggest stat card set to date with 31 different Army Builders covering nearly every Faction in the game!